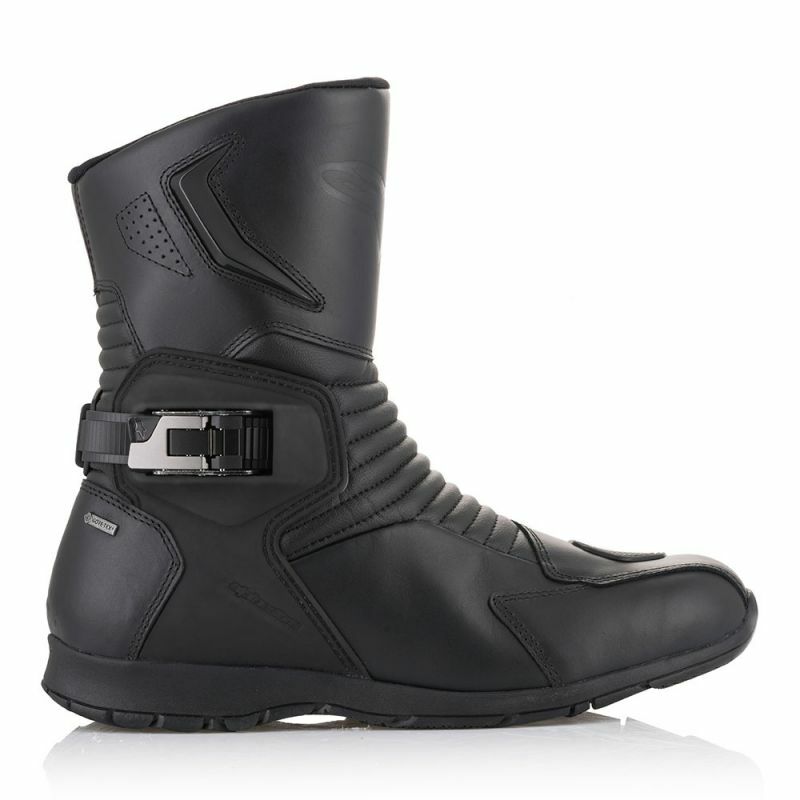 With a new shin-plate design, extensive front and rear accordion flex zones, newly designed buckle closure system for improved ergonomic performance, the A-Class GORE-TEX® Boot is ideal for long or short touring rides, with a full GORE-TEX® membrane for guaranteed levels of waterproof and breathability. 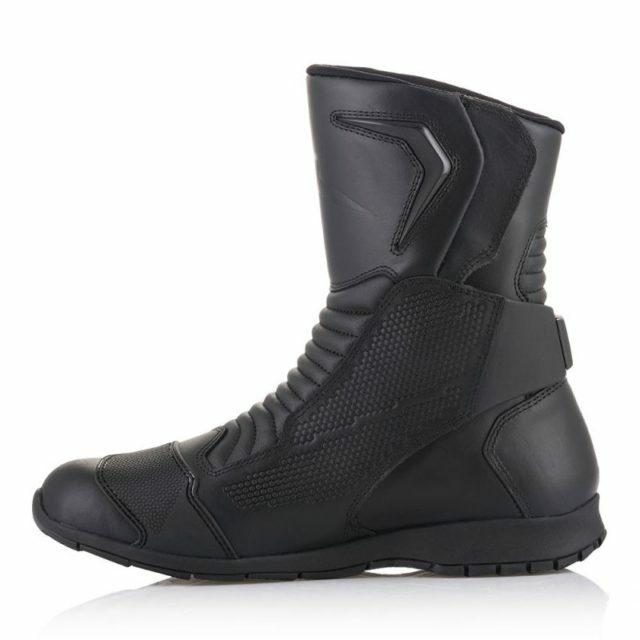 • Full grain leather upper offering comfort and durability with ergonomic boot shaping for superior fit, improved footpeg control and comfort. • Double density TPU ankle protector disks are layered on medial side under the upper and backed by poly-foam padding. • Full GORE-TEX® internal membrane ensures 100% waterproof performance and high level of breathability. • Alpinestars exclusive vulcanized rubber compound outsole offers high levels of grip and stability, on and off the bike. • Contoured insole injected in polypropylene includes shank reinforcement for foot support and structural integrity. 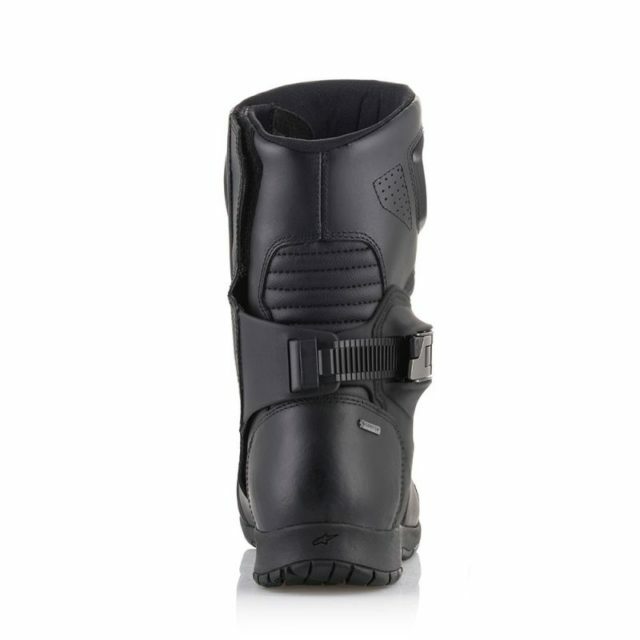 • A-CLASS GORE-TEX® boot is CE certified to CE CERTIFIED EN 13634:2010.